Thirty years ago, Orange Park resident Marianne MacNichol, Ph.D. and her parents drove to the location on Gano Avenue that would become the first Orange Park location for St. Johns River Community College. The College had initially begun its first year in 1958 in Palatka, but was ready to expand into Clay County under the leadership of former President Robert L. McLendon Jr., Ph.D.
That was in 1977. Decades later, students would find MacNichol teaching humanities at the College’s present location which opened in 1989 on College Drive, before retiring in 2009. After working three part-time jobs, raising a family and taking a few classes at time, Neumann would eventually set the example she wanted for her son. Both are now SJR State graduates. 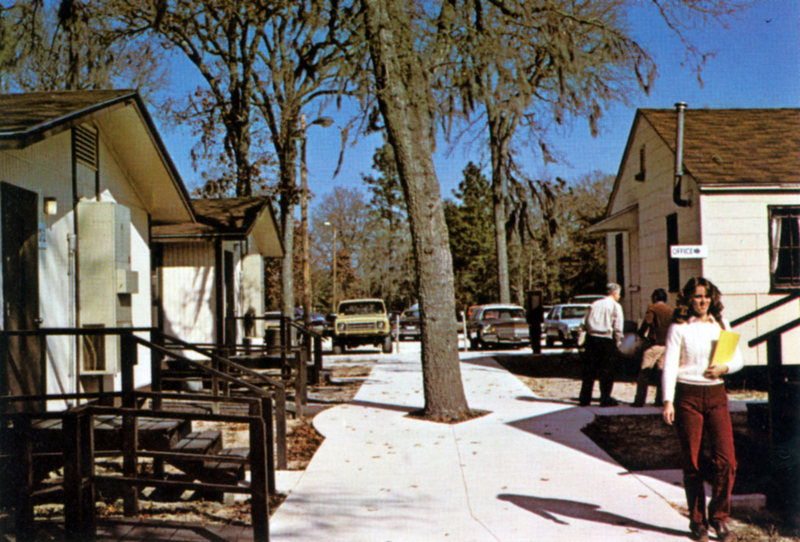 The College began offering classes to Clay County residents as early as 1958 – the year the College initially opened in Palatka. That year the College was established along with five other community colleges throughout the state. Known then as St. Johns River Junior College, the enrollment for the first year consisted of 191 students and 12 faculty members. The cost to register full time for one semester was $52.50, and free bus transportation was provided for Clay and St. Johns county students. Clay County residents and former Trustees Larry Lancaster and Dale Wilson attended classes on the Palatka Campus in 1967. Lancaster, a retired Clay County teacher and former Clay County Commissioner, remembers his days as a student and as vice president of student government. “For many, the College has been the beginning of successful and rewarding careers. The relationships and talents we developed during these special years helped mold us into the citizens we became,” Lancaster said. In 1972, Dr. Robert L. McLendon Jr. was appointed president and retired in 2008 as the senior president in the Florida community college system. In 1977 the College changed its name to St. Johns River Community College. Construction of the permanent Orange Park facility began in 1987 and opened in 1989. Today the Orange Park Campus continues to expand with the opening of the Thrasher-Horne Center for the Arts in 2004, and a $12-million state-of-the-art Health-Sciences Building was opened in 2007. 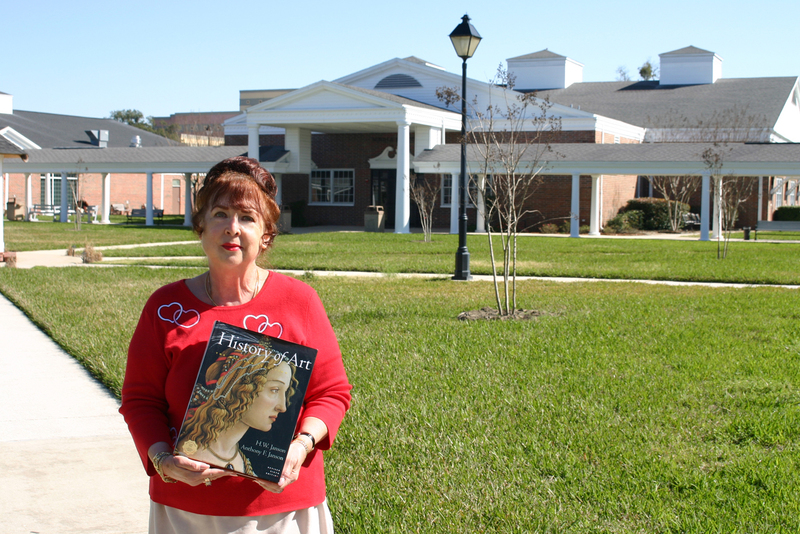 Dr. Marianne MacNichol holds one of the books used to teach her humanities courses at SJR State. MacNichol was one of the first faculty members to open the Orange Park location in 1977. Classes were held in portables throughout the 1970s and most of the 1980s. Construction began on the permanent site in 1987. 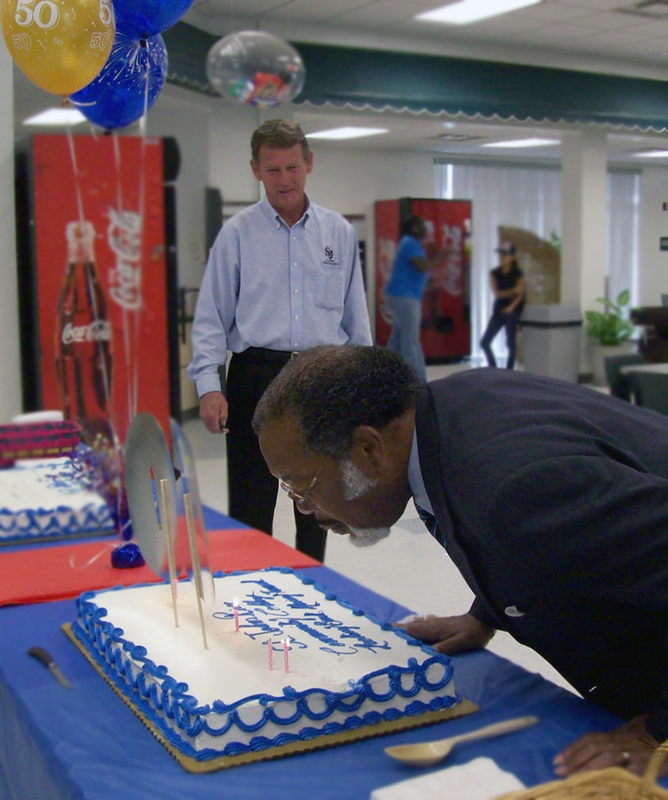 Former student activities coordinator John Kirkpatrick watches former Orange Park Campus Provost Dr. Bill Simmons blow out the candles during the College's 50th anniversary celebration in 2008.